One of the ways to look at why businesses succeed or fail is to think about the things that hold us back. Many business strategy methodologies would have us look at the rusty anchors dragging us down, or to analyze the rocks that stand in our path. That's all well and good, and certainly valuable exercises to go through when building your business, but there is another way to look at it. What about looking at ways to free up more time? What if you had more time to spend working ON your business instead of IN your business? Software as a Service (SaaS) software can help you do just that, especially when we're talking about Cloud Content Management Software (Cloud CMS). If your content management strategy is firing on all cylinders, it can help every aspect of your business perform better - right through from marketing and sales to customer service and support. This kind of synergy in your business can have real impact, and SaaS-based software like Agility can help you achieve that. When we look at SaaS based software, it's a different kind of buying process, with a different kind of commitment, that has a much longer-term ROI potential. Here's the best part though: that return on investment can start to be realized much quicker than with traditional software purchases, simply because you don't have to provide a monolithic outlay of cash at the outset. Subscription fees start low, often based on the number of users and the number of offerings being utilized - it's what we refer to as an à la carte model. You only pay for what you use. If I've learned anything over the past couple of decades in the technology business, it's that change is happening faster than ever. What if your software licensing EMBRACED that idea of change? 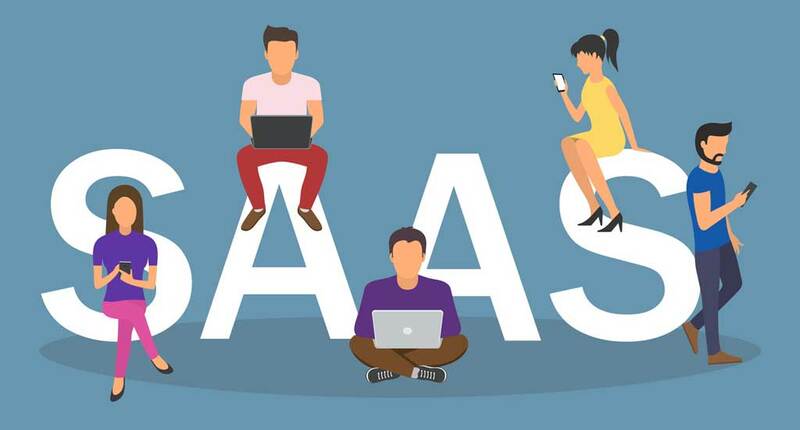 With a SaaS based model, any updates on the platform are automatic, and with a Multi-Tenanted platform, and new offerings or features created for one customer can benefit all. Let's walk through how that might happen. Let's pretend Agility has a customer called Alpha Industries and another customer called Beta Solutions. Alpha uses basic Content Management only, but they want to start providing Ecommerce functionality on their site, and they want a special integration with their CRM software. At Agility we ask around our partner network and customer community to see if anyone else has a similar need. It turns out that Beta Solutions is considering how a similar integration would work. The Agility engineering team gets to work on a new integration protocol which is released a few weeks later. The Agility Partners working with Alpha Industries and Beta Solutions hook up the new integration with their specific CRM needs. It's a win-win situation all around. With True Cloud CMS, Agility provides all the benefits of Cloud, SaaS, and Multi-Tenancy in a platform that has stood the test of time. We don't believe any other CMS platform can yield the same benefits. We believe everyone deserves great experiences, and we want to help you in your quest to provide great a experience to your customers.